I went to the Vesta’s restaurant in Blackheath last night, a very busy and popular place, not all that big. A place that gets some pretty good write ups in the food articles. The food was very good and I have been told the wine list is pretty good. 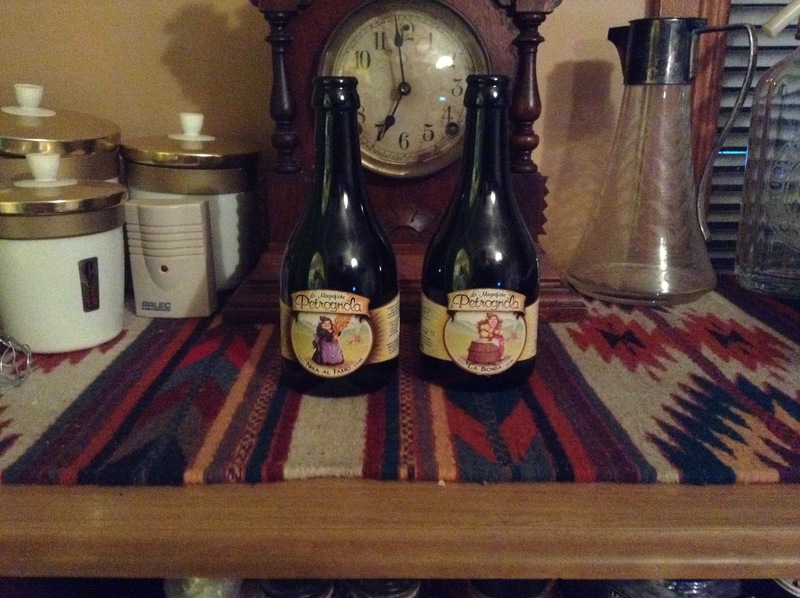 They didn’t have the biggest beer selection of beers but there was a couple of beers from the Petrognola Brewery from Italy. This is the first time I have come across this brewery. The first beer a “La Bionda” a Blonde, was a very nice beer if not anything out of the ordinary. The other beer was “Nara Al Farro” a black beer, quite a big head, a bit sweet and quite malty.I think this was the better of the two. I am going back to Vesta’s on Thursday to a whiskey night, highlighting Japanese whiskey, I don’t know much about whisky let alone Japanese whiskey so I expect it will be a bit of an experience. This entry was posted in Uncategorized and tagged LA BIONDA, NARA AL FARRO, PETRGNOLA. Bookmark the permalink.